We have Platinum Symphony DLX car seat for over a year now and I m ready to share my experience. We really love this car seat!!!! I think it's one of the best quality car seats for very reasonable price. The quality of material from plastic to metal to textiles is great. The car seat is a little bit bigger than other brand car seats, but it's gives a little more protection to your little one. The textile of the car seat is easy to wash, and it's been in a washer and dryer with no problem and still like new. Its fit car seat very snug and never gonna go out of place. I love that cup holders has a rubber band-like material, so it's easy to put any size bottles. And over a year now and this rubber band like new. It's take a minute to install a car seat, so if you need to switch cars a lot this car seat is definitely what you want. Overall My daughter feels comfortable in this chair and she can take very long rides with no problem. 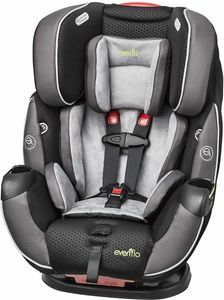 We love this car seat so we purchased another evenflo car seat for our second car. This is probably one of the best car seats I have ever owned. It fits my child super snug, he is very comfortable in it, and loves to go buh-bye! Installation was stress-free. It is somewhat heavy but other than that it was super easy to put in the truck. It also fits well in smaller vehicles as well. It has great color contrast and is just a very well-made car seat. You can use it for infants or toddlers as it is a multi-use, multi-functional car seat. It saves money on purchasing two different car seats for the different stages. The seat clicks into the base very easily and it isn't a struggle to remove from the base like some are. I plan on purchasing another one of these for our other vehicle so we don't even have to move it from car to truck. Overall I am very pleased with this car seats functionality, look, and overall structure. This is a very sound product and would recommend it to any new parent or round two parents. I have tried several different car seats in the last ten years and this is by far my favorite to date. Highly recommend. My daughter loves this carseat. She will set in it till she out grows it. After reading many reviews, we decided on the Symphony Elite. We needed a car seat for the times we pick up grandkids. I love that it adjusts easily to the different ages we have to accommodate. The install was easy and the seat is very secure. In fact, my daughter was impressed and is going to turn her car seat in for this model. Great job Evenflo. We absolutely love this seat! We have one for my 6 year old son and just bought this one for our 9 month old daughter! I know my children are safe in these seats! They are easy to install, the fabric is so breathable and i love not having to take apart the harness straps to adjust! My mother heard how much I loved the seat so she bought one also! My daughter used to hate her infant seat. She gets in this car seat no problem. It looks so comfy and installing it into the car was super easy. The only downfall is it's bulky but other than that it's amazing! Easy to install, very comfortable, and the straps pull from the bottom so they don't rub my daughter's shoulders. Love the feature to keep the buckles from heat exposure. I bought these 3 years ago for my twin boys. Last month a man ran a red light and T-boned my husband and the boys on their way to get donuts going 55 mph. All of the impact was on the backseat. Both of my boys did not have a single injury. Some slight bruising on the collar bones from the harness but they were totally fine. I am so grateful for a great carseat. The insurance had us buy new ones so I bought another set of the same ones. They are worth every penny. Its a great car seat. It looks nice. Its easy to use. We received this seat free to review and we are so very thankful. We love the seat! Our almost 5yr old daughter sits very comfortably in the five point harness and has plenty of room to grow. Install is super easy in our mini van but is difficult trying to get it into a smaller vehicle due to the size. The fabric is great and is very durable and padding is super comfy. The only downside to this seat are the cup holders. I see that some of the newer models have a new style cup holder which is great. We have experienced many spills if my daughter is not using a spill proof cup. The cupholders would not prevent me from purchasing the seat. We just make sure we hold on to her drink if not in a spill proof cup. Overall fantastic seat and so great to see Evenflo designing state of the art seats at a reasonable price. Buy this seat and your covered from newborn until the child is able to sit in a seat without a car seat. Thank you !!! We have been using the carseat since 2012. We have 3 different brands but my boys prefer this one. It's a bit bulkier but is the only seat my boys don't complain about sitting in for extended periods. It's very easy to adjust from one child to another, and has a longer lower strap than our other brands. We are expecting our third baby and I will be getting another one of these seats. My 5 year old has plenty of room to grow, so this definitely is a long lasting convertible seat. The best carseat even after years of use! We bought this carseat when my daughter was about 10 months old she is now turning 3 in about 2 months. Not only is this car seat so comfortable and sturdy or is remarkably easy to put in once you get the hang of it. We were recently in an accident involving 4 cars two of which were completely totaled. This care seat Did NOT budge even in the slightest. I unfortunately had a full view of my daughter in the seat upon impact and was shocked that she was barley moved around. This carseat is life save and is bug and heavy for a reason! I researched tons of carseats to find this one and read so many other reviews about how great this carseat was in the personal accident experiences that completely sold me on this particular seat. I will never use another seat. We have already repurchase after the accident. I just fought with trying to put this seat in my 2017 CRV......I worked up a sweat and it's STILL NOT IN!!!!!!! Nearly impossible to do by yourself trying to feed the seatbelt through to be able to use rear facing!!!! I read the one star reviews and laughed. They are beyond lies and should not be listened to. Instal- The seat is easy to instal both rear and forward facing. Once we put the hooks in we give the seat a little wiggle to make sure it's tight and retracts any slack Comfort- It's super comfortable and baby/toddler will sleep with ease. I sat in it before we bought to test comfort and softness. Like any seat your child's head will move about while sleeping (adults bob there heads when sleeping up to or in the car) We use the recline in both forward and rear face positions. Durability- my son has put the seat to the test, between melted chocolate and what ever else he may spill it is easily cleaned in the washer. I hang dry. I also had a seat cover handmade that goes right over the original cover. I would highly recommend the seat. Next babe I'll have this one right from birth and skip the normal car seat. It is worth the value and really just ignor those 1 star reviews. We have 2 older Evenflo convertible car seats, a Triumph and an older Symphony for my 3-year-old. We started using these seats for her when she was about 8 months old and we love them both. They are comfortable for her, provide a lot of support and we feel good about her riding in them. My 4-month-old hates her infant seat, so I decided to do some research for a convertible seat for her. After searching through reviews and various sites, I saw that this Evenflo was highly rated, with the upgrade (from our previous seats) of the easy LATCH install. The seat is large and roomy and provides a lot of comfort for my daughter. As she grows we will love this seat. And it was extremely easy to install, which is great. But my issue is the same as many I've seen since we got the seat - the infant head rest ... we are using the body insert and the head rest for our daughter - 4 months, 14.2 lbs and about 24" - and it appears the head rest pushes her head forward, which is both uncomfortable for her and unsafe. We did place a rolled up towel under the seat to provide further recline, but I'm still not fully comfortable with the way her head is positioned. I tried to take the head rest out, but then her head fell way to the side when she fell asleep, although when awake her head is positioned properly. I am going to try a pool noodle instead of a towel, and see if that helps. With all of the feedback on the head rest, I would think that Evenflo would provide an alternate head rest. If the back of the head rest was flat, that would alleviate any concerns. You really only need the wings to keep the baby's head from falling to the side. I would recommend this car seat to a friend with an older baby who is larger and has more head control. Essentially - if the infant insert is needed, then either use the infant seat, or go with a different convertible seat. If the pool noodle does not seem to help, we may have to return the seat. It is unfortunate because once she outgrows the inserts, this seat would be wonderful. By far my favorite carseat! We have 2 kids a one yr. Old and a 3 yr. Old. I have bought at least 6 carseat. This one is by far my favorite. It is easy to put back together after washing(I wash them once a month). It is so simple to install! I bought both of them a few months ago and so far they are holding up great! Both of the boys love them and the 3 yr. Old says it is comfortable. I love the buckle pockets, so their little legs do not get burned when it's 90 degrees outside. I have recommended this carseat of several friends who are expecting or have babies. The only thing is that they are on the larger size; it doesn't bother us though. I have a large SUV and there is still some room in the middle, but not enough for another child. I wouldn't recommend it to someone who has multiples and a sedan. Bought this for my 4th child and wished I had had it when my other 3 were little. LOVE it. My daughter is 18 lbs and 28 inches long, 6 months old, and fits comfortably in it, rear facing. It is a little bulky and I had to put a pool noodle under it because our mini van's seats are angled. I would suggest this for anyone. Really tough to install. When I first attempted to install this seatin the rear facing position it went in OK, but wasn't level. With the seat having no adjustment's I checked the user manual and it told me to prop the seat up with towels. I thought this sounded odd, I tried it anyways. I proper it up with a towel and brought it to level, that's sounded hem the problem began. I was no longer able to tighten the seat, no matter how tight I got the belt the seat would move pretty freely. All in all I'm disappointed with the securing methods recommended by evenflo. I also have a graco forever seat in my other vehicle and was impressed with the ease of install and how secure it was. The installation was literally 30 seconds. The new quick connect system is what I been waiting for. It is easy to switch to different vehicles or just remove it and install it quick. It is a little bulky but it still fits. In rear facing position you cannot recline the carseat. My 13 month old's head was not snug. When she fell asleep her head was bobbing everywhere and she woke up puking. I would return but the car seat is full of puke after our first time using. So disappointed. Should have bought it sooner! I'm not sure why I never started out with this carseat! This has been the greatest investment we have ever made! It is safe, and over the top reliable! Bought this a year and a half ago and every time I buckle my 2 year old in I know she is comfortable and safe. I still have her rear facing and she content as can be. Only thing I would change would be the size but.....if that is what it takes to make my child safe, it's worth every penny! Will buy another when my 10 month old needs one! The reason i bought this car seat was because it seemed really padded and that it would be comfortable for my son. I also liked the fact that it would keep him cool during the hot summers here in Texas. Well... my car can be nice and cool inside and i go to pull my son out and his shirt is sticking to him and he is all sweaty. I don't like the fact that the insert cant be used when hes a toddler and with out the insert it is not very comfortable. This car seat was extremely difficult to install. I'm not made of money and I desperately want to buy my son a new seat preferably the extend a fit one by graco so my son can remain rear facing for longer and have plenty of leg room...I almost forgot to mention the cup holders...Who ever designed this clearly does not have children. There is NO support. I make a turn and his cup falls out and spills all down the middle of the back seat. If i had to do over again i would not have purchased this car seat. I feel stuck with this seat because i have another child that now needs a carseat, and the safest place for him would be the middle, moving my daughters seat to the next safest position, behind the drivers seat.. but because of the size of this seat i cant fit 2 of them next to eachother forcing me to buy a smaller csrseat that wont match! Or putting my daughter more at risk behind the passenger seat and having no room in the back for extra passengers. Also, having to use a screw driver to remove the cup holders just to take off the cover is such a hassle and when i washed my cover the padding got flipped inside of it and is stuck like that. But its fine, i do actually love this carseat! we were in an accident with this seat its amazing! Very nice..... but a pain. This car seat is very nice and seems to be comfortable now after i had to cram blankets under it. It is the biggest pain to install especially since it is our only car seat so we are always switching it. I think to latches are to big. I cant even use the latch system in my car. This car seat is very big and takes up a lot of my back seat. My husband cant even put his sit back where he needs it to drive. I drive a park ave so its not little. i think this car seat would be ideal for someone with a lot and i mean a lot of room in the back seat and for someone who was going to put it in and not take it out ever. My baby is a year old and rear facing and i had to tightly roll up blankets and put them under the car seat because it doesn't recline nearly enough. My little guys head would drop forward when ever he fell asleep. I returned my Graco mysize 65 because the crotch strap was too tight on my12 month olds thighs so I traded it in for this seat. Couldn't be happier about my selection. It is very comfy and padded and I love the material. Haven't felt any sweat from my girl yet and she always sweats in her seat. It is very easy to adjust the straps and get a good safe fit. Simple installation as well. This seat looks and feels like a more expensive seat and it is a decent price. Great value. It does seem a little bigger looking at it but fits just fine in my husbands 1980's pathfinder which has a small back seat. Great seat. Don't know why I didn't consider Evenflo before. My family was in a bad roll over on the highway, and this carseat kept my son safe! . He had no injuries!! I was really excited about this car seat in comparison to others. I am disappointed that the cool down technology is not accurate as advertised. My little ones back is still sweaty. We adore this seat!! My 2 year old has been in it since she was 6 months old and has never complained. The sure-latch feature makes installing this seat a breeze! The only negative I can think of is that it's kind of heavy, but we don't move it enough for it to be a major concern. So this is my second review of this product, because my first one was deleted. Seat rattles constantly when a child is not in it, in refacing setup. Drives my wife and I crazy. To properly tighten the car seat, you need to partially remove the cover so you can pull on the tightening strap in the correct direction. After the seat is in place, it is secure and my daughter seems to like the seat. I bought this car seat two months ago, and love how easy it is to install, and love the temperature regulated fabric. Though, have had nothing but problems with it. My daughter has been getting carsick wash exactly how instruction manual says first discovered hole in pad which they gladly replaced, now discovered foam ripped and feel for the price I paid it should be a lot better quality.. I have had this car seat for about a year and a half now and this is the first time I have tried to take it apart to clean as my child had gotten sick. This is not easy or really possible to do. I cannot take the straps out to get the buckles off to clean and I am left with a terrible smell still. Other than this feature this car seat has been really easy to use. i bought this car seat a year ago for my son. it was so easy to use right out of the box. installing is the easiest and it latches and tightens and you dont have to worry about it coming loose as it stays in the car. as my son grows the buckles are so easy to adjust i dont even have to take it out of my car. until we got him this seat he hated being in the car, with this seat we were able to travel from Oklahoma to Ohio in June with no problems he was never fussy or acted un comfortable he was 6 months at the time. I LOVE this seat so much i will be buying another one for my daughter that is due in July. I also regularly recommend this seat to friends and family. My sister loves it so much she is also buying one for my nephew who is due in July. After doing months of research on which car seat to purchase, I finally decided on the Evenflo DLX All in one. I was looking for a seat that would last, while providing comfort and safety. This seat has fit the bill perfectly! I was amazed by how simple installation was. Car seats can be a real pain trying to get them installed properly and God forbid you ever have to remove it from your vehicle! With this car seat I am not worried about having to remove it and re-install it because it literally only takes seconds to install it. I love that the seat does the hardest job itself. My favorite feature on this seat would have to be the way the fabric responds to your baby's body temperature. If they are overheated it will cool them and if they are chilly it warms them. What a great feature! Our little guy tends to get overheated easily and when still in his infant seat we would often take him out only to find that he was soaked from sweat. This seat provides so much cushion that I know he is very comfortable. He loves this seat! He used to cry often when we would take a car ride, now he laughs the entire way with squeals of delight. With two built in cup holders, he has one to hold his sippy cup and another to place his favorite toy! The colors are fantastic and it makes it appear very classy. This is one of the best car seats available and is comparable to many high end car seats. I am so glad I chose this seat for our little guy and I highly recommend it to anyone. Comfort, safety, quick and easy installation, stylish and classy, how can you go wrong? I bought this seat about 7 or so months ago and it has been FANTASTIC. I even had a issue with the seat cover and the customer service was top notch and mailed me a new cover with in 4 days. This seat has also proven it self with its crash ratings, which makes me know my child is safe. I 100% recommend this seat. One of my grand daughters puked all in the seat and it's even down under the cushion. I finally got the cover off but cannot get the straps off. Why is it the better the car seat the more difficult it is to clean and take apart to throw it in the wash?! I've had to unscrew stuff just to get to the belts for them to not even come off & to get the cup holders off. I'll be lucky to even get the cushion back on and it back together period. Although I love the car seat, no complaints, I'm giving it a 3 star due to the difficulty of taking it apart to clean it, it shouldn't be this difficult. Love this seat! Bought this for my baby at 7 months old. She loves it too! Super spacious for my little one with plenty of rear facing room until she's two! Love that it is really deep too. Last week I was hit by a driver who ran a red light while I was taking my 2 year old daughter to preschool. 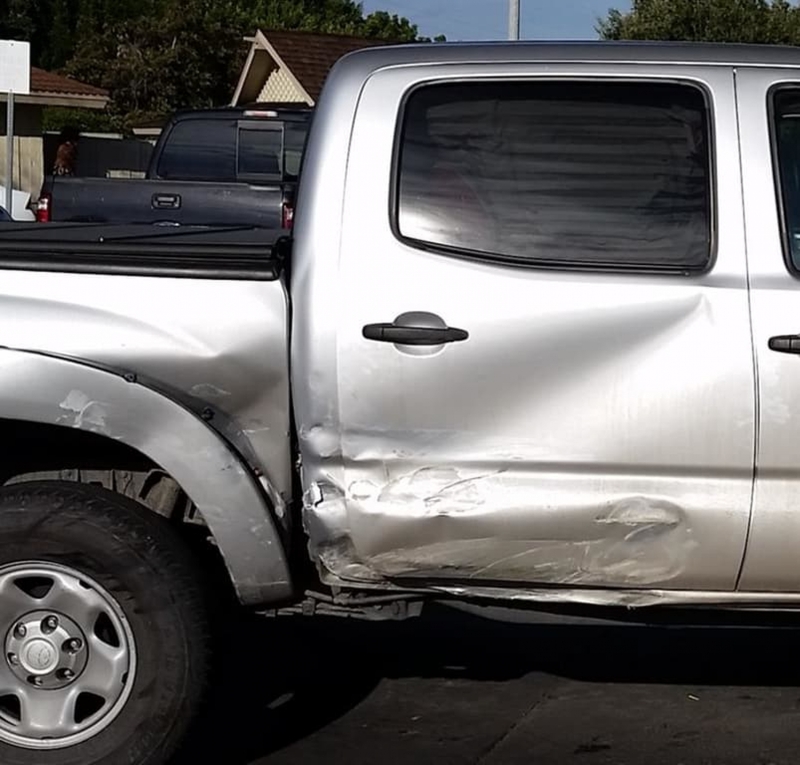 I saw the driver running the light just before impact and I knew she would hit my truck right where my daughter was sitting. I hit the gas hoping the other driver would miss the rear passenger door but there wasn�¢â�‚¬â�"¢t any time. After the crash I turned around and besides being scared my daughter didn�¢â�‚¬â�"¢t have a scratch on her. My daughter was in the Evenflo Symphony DLX carseat. I�¢â�‚¬â�"¢m so thankful the Evenflo Symphony did its job perfectly. Last week I was hit by a driver who ran a red light while I was taking my 2 year old daughter to preschool. I saw the driver running the light just before impact and I knew she would hit my truck right where my daughter was sitting. I hit the gas hoping the other driver would miss the rear passenger door but there wasn't any time. After the crash I turned around and besides being scared my daughter didn't have a scratch on her. My daughter was in the Evenflo Symphony DLX carseat. I'm so thankful the Evenflo Symphony did its job perfectly. I bought this car seat 4 months ago! I love this car seat! I put my son in it when he was 7 month old because I think that infant car seats are unsafe. This car seat has a lot of safety features. It is wonderful! Would buy again! Next baby will start in this seat! As a mom of two I have tried a few different car seats with my first. When I realized my youngest was going to be in a 5 point harness for some time due to her size I decided to do some investigating. Extra help I had, I work for a company that runs crash tests, so I have seen what happens to dummies in tests with car seats. I gotta say I LOVE this seat! Its side impact safety surpasses most if not all others. I love that it grows for so long with them and all the easy to use functions! Its super easy to wash the cover on the fly, easy to install and uninstall in a hurry as well as adjust! Great buy!!! I got this for my son just over a month ago after tons of research. I fell in love with the all in one, and the colors of mine. Its super roomy for when he is older and padded nicely for all ages. My only complaint is the infant padding. The slots that allow the shoulder straps in are all vertical when there should be a horizontal on either side that allows the shoulder strap to slide in without bunching and creating gaps, making it not as safe. Hoping with the new padding coming that it meets the expectations I had because I really do love the seat but safety is way more important!!! I have an almost 2 year old daughter and we already had a car seat for her but wanted something for when she is with her Grandma. My Grandma was able to figure out how to get her in and out of the car seat with ease! (which was an issue with other car seats) Installing the car seat was a little confusing at first because it seemed so easy I thought I was doing it wrong. It was super easy to install and the car seat is so much more secure than most other car seats I have experienced with. Great car seat! Love it!!! We have had this seat for almost a year now, and I have no complaints! I am assured that my child is safe in this seat! LOVE LOVE LOVE this car seat. He is super comfortable and seems to relax so much more in this seat than others. It was super easy to install, the buckle holders are AMAZING for impatient times. We absolutely love this car seat. I'm a safety freak so I did my research before and I'm still as in love with it now as I was then and my son loves it. Love this car seat! Ot is definitely worth the cost. I plan to buy another when my daughter is born. Great seat for a reasonable price. I bought this carseat 6 months ago and I love it and so does my 2 year old. It is very roomy and super comfy. My son does not mind the long car trips. It is easy to install and remove. Washing is a little inconvenient because you have to unscrew the cup holders, but not a big deal. My 6 year old daughter can comfortably fit in the seat and have wiggle room. My one issue is that the cup holders are not deep enough and too wide. My son's sippys fall out when you turn. Overall it is a great seat for a great price. I can't get our car seat to not rattle. The adjustable head rest rattles if you look at it cross eyed. Doesn't matter what position it is in. Was easy to install rear facing, after 30 minutes of tearing the seat apart to change the straps from forward facing to rear facing. This is an all in one seat, so I'm guessing the majority of people will install it which way first? Oh yeah, rear facing. So why not ship it from the factory that way? After switching the straps it was easy to install in the car. I bought this car seat just this month for a long trip going to Cali. And we love it! Our baby sit comfortably and sleep most from the road trip. It's way far better than the last one we have (Graco). We love the feature where it absorbs the heat and cold temperature and release it especially when your living in AZ and also the buckle pockets! It's really a good investment for your child as it grows up with them . I would definitely recommend it to everybody! I love this seat and was excited to get it but the height limit isn't high enough.I never thought of this at the time of purchase. I want my baby rear facing as long as possible and this one only goes up to 37" before forward facing. Thats not keeping him rear facing long enough. If the height was increased it would be much better. Now I have to replace at height limit to keep him safest in rear facing position longer. Forward facing early is not happening. I've had the older model of this car seat for a good 2 plus years . So you can say I've had more then enough time to TEST out this car seat . Love the colors constructions very well seat padded nicely. BUT my only con about this product is the was it makes my toddler slouch. Sense day one . For older kids maybe 4 years plus woudent have this problem But for my 3 years old it drives me crazy . Don't get me wrong it does provide that safety it's recognized for but It doesn't have that curve most car seat have where child can sleep without having her or his head down to their knees .For my daughter to be sitted comfortable she needs to be straight as a stick. Yah good luck with that happening. Did I mention she was 3 . If you don't mind sacrificing comfort for safety go for it but the lack of back support drives me crazy. So if your ok with a slouching child go for it . best safety features & comfort out there! This a wonderfully mad product. Great quality materials & a very secure locking system. My husband & I were in a unique situation to say the least. Our 3 month old baby boy was the height & weight of a 9 month old at only 13 weeks! No joke. He was also broad shouldered & was getting pretty cramped real fast. Because of his insane rapid growth we were in need of a more compatible car seat. He would also get very hot in his old seat. No mater how cold the Ac blowing on him was, when I'd pick him up his back was sweaty. the Symphony LX Platinum has the ability to keep up with his growth much better then the standard car seat we had before. The extra padding has noticeably made his car rides more comfortable & the Outlast Performance Fabric has been absolutely wonderful. He hasn't sweat in it once. The fact that this will be the last car seat we will need to buy is also a huge plus. I would definitely recommend this to any parent. Huge baby or not. lol The only down side is shopping. It was much more convenient to just carry the old car seat with him in it into the store. I no this is just not a possible future with this type of car seat and I'm totally ok with the trade off. well done Evenflo. I researched a while for the best car seat for my son. I love how the material keeps him cool, and he sits very comfortable in it. The reason I'm only giving it 4 stars is because it's a little big for my car. I had to move the passengers seat forward quite a bit. Other then that we love it. My hubby is looking at buying a second one for his 4runner. I wanted a seat that would grow with my child. We made the mistake of buying a seat in the past that wasn't convertible. This one is available for RF, FF and the booster! My daughter fits in it comfortably and the sure latch system is a life saver for me because I'm a small lady and I have to crawl in the back of my SUV to take the seat in and out. Being able to just latch it on and tighten it down by pushing it down with my weight and hearing it click itself down is great and easy. Easy installation is a big plus for me! We are using this carseat as a rearfacing one and it is comfortable enough. However, when he (22 mos old tall baby) falls asleep his head droops forward and he has no head support. The reason being that the recline can be only at 1 while rear facing. We tried changing the head rest position .. nothing works. So dissapointed!!! I bought this for my 5 month old and he really seems to like it. He doesn't get sweaty during long car rides, and he looks very comfortable. Although it's on the pricier side of car seats, it is worth every penny! Switched my daughter into it around 9 months, she's almost 13 months now & we absolutely love it! She looks & seems to be very comfortable. Plus, the seat simply looks safe. I think she is very well protected & what could be better than that?! Except for the fact that I love the color (Martina) Haha :) AND it's very, very easy to install! Can't say enough about it, obviously..
to do it right takes more than "60 seconds"
I'm sure that this is the best car seat around but it was such a huge pain to put in. Not 60 seconds, that's for sure. It is ridiculously heavy and over engineered to look cool. Give me a safe seat with out all the bells and whistles. Something that is easy to clean and something that keeps my kid safe but doesn't make me want to throw the car seat out into traffic in frustration. We have purchased 3 of these seats. 1 for each vehicle and recently one to replace ours that was in an accident. My son is 2.5 and was driving with my mom when they were t-boned on his side of the car. My mom ended up with bad whiplash and brushing and my son didn't end up with even a scratch!! The car seat kept him safe. He medics and firefighters praised the good installation and safety of the seat itself. It's super easy to install from vehicle to vehicle. We wouldnt consider any other brand after being through this ordeal because the safety of my children is the most important thing and we feel safe every time they're buckled in!! I love this car seat! It's very easy to install and it's easy use gives great peace of mind for my son's safety. He still does sweat in the seat but I think I may have just had higher hopes for the heat control seats, than reasonable. We purchased this car seat for my 21 month son hoping it would be the last car seat we needed. Initially the car sea worked out great but then the car seat cover needed to be washed. After washing the car seat on the delicate cycle we noticed a tear in the area of the head, it had been less than a week of our purchase therefore we exchanged it for the same exact car seat. Less than two weeks later we went to the beach and returned home with a car full of sand. We washed the car seat cover with even more caution than the first time to find that the seat was ripped almost in two pieces. This was very frustrating. Anyone who has small children understands that car seat covers require an occasional wash, apparently this product manufacture is unaware of this. We decided to purchase a different brand although it cost more we hope that we finally have my sons last car seat. I love that my little girl can rear face for as long as possible in this seat. It makes me feel confident in her safety, I think she's safer than the rest of us while travelling. I recommend it to everyone that's looking for a car seat. It even used to fit in the back of our convertible mustang, barely, but did fit according to regulations... just. We also like that there are guide and instruction labels stuck all over it, this helps other cre givers use the seat safely as well. A breeze of a carseat! Just received this carseat a few weeks back and absolutely love it! From the installation to the stylish design, its perfect. The Sure Latch makes, what is usually a hard job, super easy! The colors are great! It is very easy to get my son in and out of the seat and the buckles never jam. My son was never fond of his infant car seat so switching him to this one was a huge upgrade. He never fusses or gives us a hard time when putting him in. The seat has a few different recline options and I enjoy that feature. The buckles store easily to the side for an easy in and out. I am looking forward to seeing how the outlast fabric comes into play during a very hot Carolina summer. My son haa been in this seat for 5-6 months now and we love it!! It's easy to switch cars when I go with friends, although it is a bit heavy. The fabric washes well. Would highly recommend this seat. THE best car seat for preschoolers! First, I sat my daughter in a few brands, but Evenflo won me over with the body temp fabric! I tried the lx 1st, didnt like her fit.... tried the platinum dlx and she fit PERFECTLY! Emerson is the style & I love it for a unisex seat! I wouldn't have chose anything different! I LOVE EVERYTHING ABOUT THIS SEAT! This was given to me as a gift. I didn't use it for my son as a newborn car seat because I felt he was too tiny for it.....now he's 3 months and I love this seat!!!! I feel that he is safe and secure and most of all comfortable!! I really wish they had this product when I bought my sons car seat! Bought the Evenflo Symphony for my son at 6 months, he is now 3 and we still love it! We bought the first Symphony 65 e3 when it first came out, it did not have integrated cup holders so glad to see Evenflo fixed that on the new model! Have recommended this to several friends who also love it! I take comfort knowing he is riding on one of the safest seats on the market! If your on the fence, BUY IT!!! I bought this car seat and so far am pleased with it- I only have a few comments/suggestions for expecting moms/buyers: -although the buckle holders (to protect from extreme heat) are a nice concept, they do not hold the buckles securely. Most times I try to place them in the side pockets they just fall right back out. -the harness straps easily move up and down and click where necessary above child's shoulders, however, I have found that they slide down and do not stay in place. They are supposed to be level with child's shoulders but for some reason they too easily click down as they do up. Overall this is a nice car seat and I favored it much more than others on the market. Improved design and looks comfy for child. I'm sure evenflo will continue to make improvements! I love the sure safe installation. This product makes it much easier to latch the car seat into place. I no longer have to hunt for the latch - it's right there easy for me to see. I also rest easy knowing my baby is secure. I wish this was available when I had my 1st child. The sure-safe feature in infant seats is so cool & easy to use. You are already carrying a heavy car seat and do not want to hunt for your buckles. This sure-safe feature eliminates the guessing game and makes life easy with it.